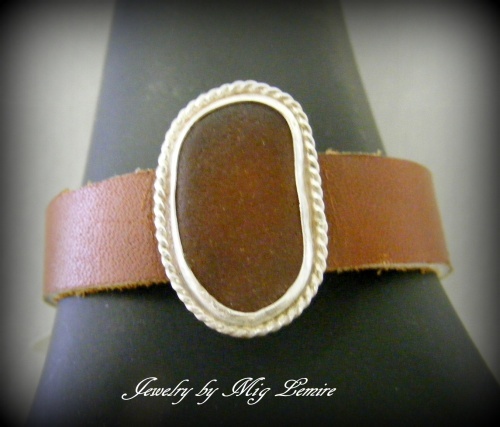 This stylish leather bracelet has a brown seaglass focal set in mixed metals. 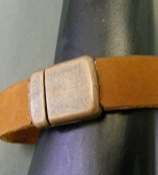 Has a strong magnetic clasp that makes it easier to put on and take off. One of a kind piece.